I regularly go north in search of wildlife, I have been to Norway, Finland, Sweden, and Iceland many times both on general holidays and in search of wildlife to photograph. One of the experiences not to be missed is a visit to the far North of Europe in winter. The Arctic circle in Northern Finland and Norway is a large wilderness area where it is possible to see some unique and amazing wildlife. During clear weather, time spent around the Arctic circle in winter also has an added bonus as there is a good chance of a sighting of the Aurora Borealis also known as the Northern Lights. I have been fortunate to have also visited Churchill in Canada which is situated at the South West tip of the Hudson bay. A vast wilderness famous for Polar bears during the start of winter. This is in the sub-Arctic just a few miles south of the Arctic circle. 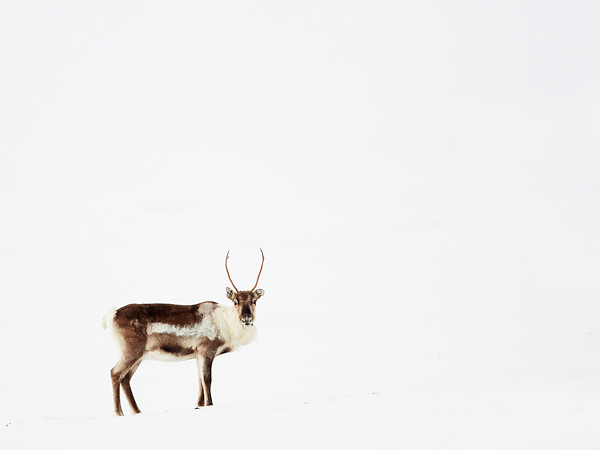 The further north you go, the better the chances of seeing Reindeer.